I've been teaching a 7-week color theory class at the Farnsworth Art Museum in Rockland. 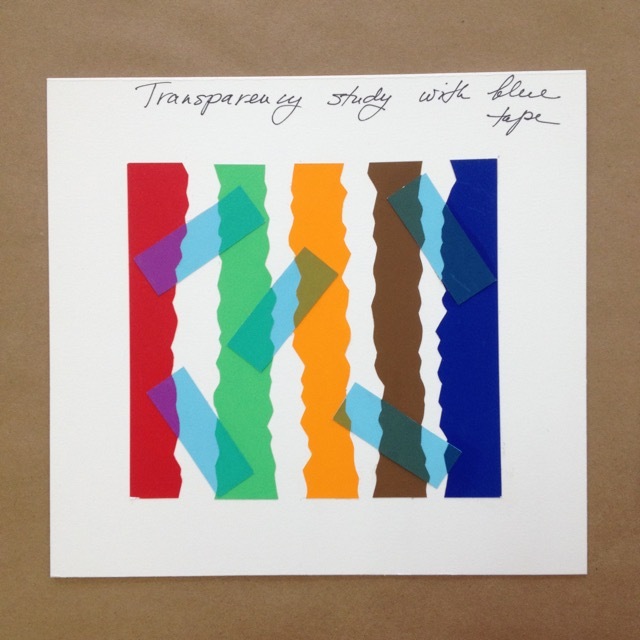 We recently experimented with creating the illusion of transparency (or optical mixture) by making studies of folding ribbons and overlapping shapes out of color aide paper. 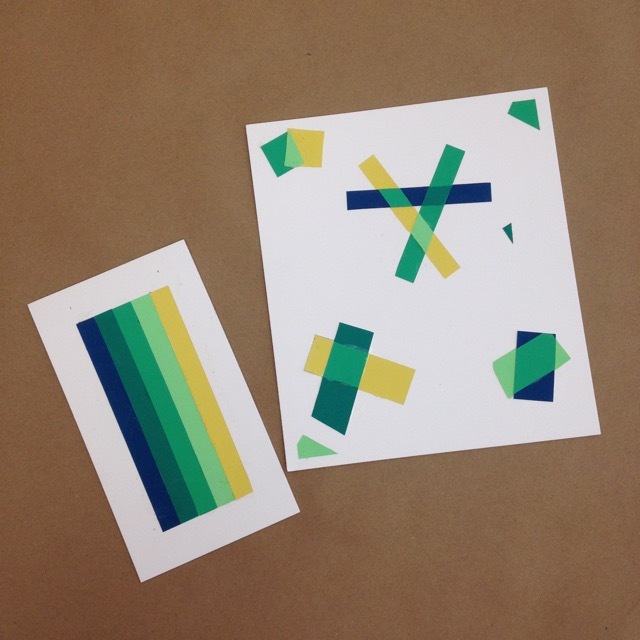 Have we successfully fooled you into thinking the opaque paper we work with is transparent?